Stuttgart - Borussia Mönchengladbach's players felt they deserved their narrow 1-0 victory over VfB Stuttgart, but admitted they rode their luck in the dying stages of the match when Georg Niedermeier struck the woodwork from point-blank range. The Swabians' attention, meanwhile, now turns to Tuesday's clash at 1. FC Köln after slumping to only their sixth Bundesliga defeat against the Foals on Saturday. 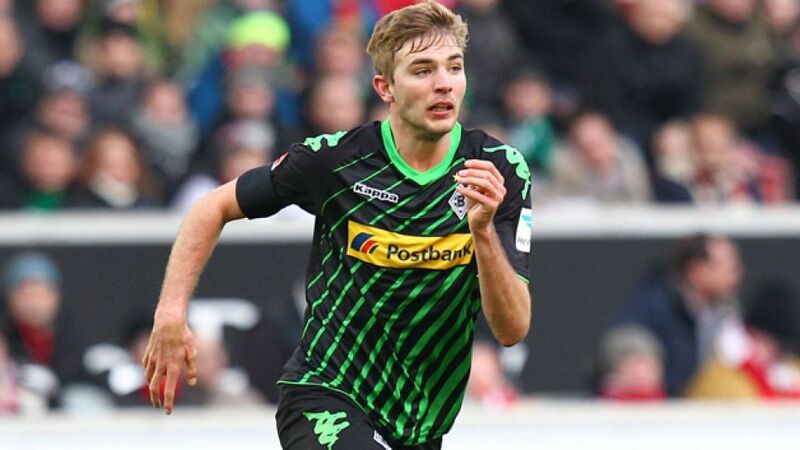 Christoph Kramer: "The game nearly turned on its head in the closing stages, so we were very happy to hear the final whistle. I think it was very important for us to start well. That’s not to say that we were brilliant, but we were successful nonetheless. Many teams currently near the top will fall by the wayside after six or seven Rückrunde matches and of course we don’t want to be one of them. That’s why it’s important to get points on the board, no matter how we do it." Max Kruse: If they had scored in second-half stoppage time and we’d left here with just a point, it would have been very disappointing. In my opinion we controlled the game over the 90 minutes. Luckily the chance they had at the end came off the crossbar so we can enjoy the three points. It certainly wasn’t a perfect performance - we should have put the game to bed before we did - but we’ve got the points in the bag and that’s all that matters. It was very important to start the Rückrunde well, but we’ve got 16 more important games to come. We’ve got another difficult test against Freiburg on Tuesday, so we’ll focus on that now." Fabian Johnson: "Of course I was very happy to be in the starting line-up and hope that continues to be the case in the coming weeks. We controlled the game in the first 25 to 30 minutes, but Stuttgart were dangerous after that and could have scored from one of their counter-attacks. We wanted to be more disciplined at the back in the second half and prevent Stuttgart from hitting us on the counter. In the end, we were the ones that scored on the break, which I thought we did very well. Who knows what would have happened if we hadn’t taken that chance? Stuttgart had their opportunities too." Martin Stranzl: "We started very well and created a few chances from set-pieces, but mid-way through the first half we made some silly defensive mistakes which boosted their confidence. Stuttgart also created a few opportunities from set-pieces, but on the whole we defended very well. We had to take the tempo out of the game at the beginning of the second half. We were very patient, waited for the right moment and made the most of a counter-attack to open the scoring. VfB threw everything at us in the final stages and we had a bit of luck when they hit the bar." Sven Ulreich: "We’re disappointed of course as we wanted to get something from the game. We didn’t start well initially - Gladbach were the better side in the opening 20 minutes. We fought right until the end and should have got our rewards at the death, so we’re very disappointed. We were aware of Gladbach’s strengths and did very well apart from the one situation which led to the goal. Our next match against Köln on Wednesday definitely won’t be easy either, but we’ll try to be compact and perform like we have done away from home in order to get something from the game." Georg Niedermeier: "We struggled to get into the game but had our chances. It’s frustating that I squandered a couple myself, but unfortunately there’s nothing I can do about it now. In the second half we didn’t give them much sight of goal - that’s something we have to build on."